Check out Disney’s fourth Star Wars Legion blind box mini figure series, which features a “Character” theme! Star Wars Legion Series 4 was created by artists celebrating their love of a galaxy far, far away, with each figure in this series featuring the artistic interpretations of Stormtrooper helmets by Disney artists, celebrity Star Wars fans and select street artists. 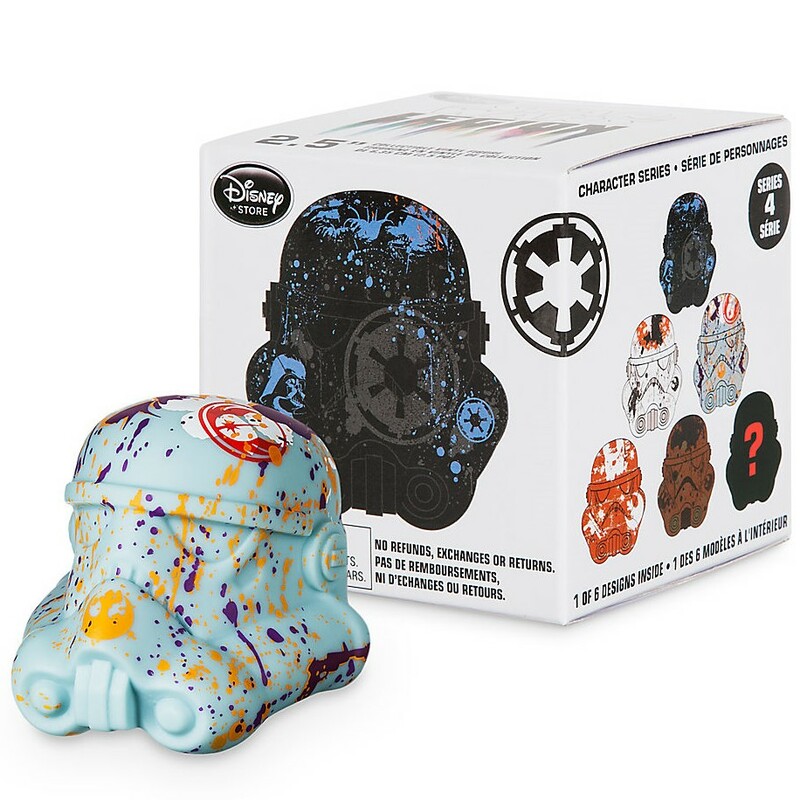 The Blot’s not really sure why Disney chose “Character” as the theme for this series when all five designs just appear to feature random paint splatter and Star Wars logos on a 2.5” Stormtrooper vinyl helmet. There’s not even a real character design in the series. Kinda disappointing, don’t you think!?! 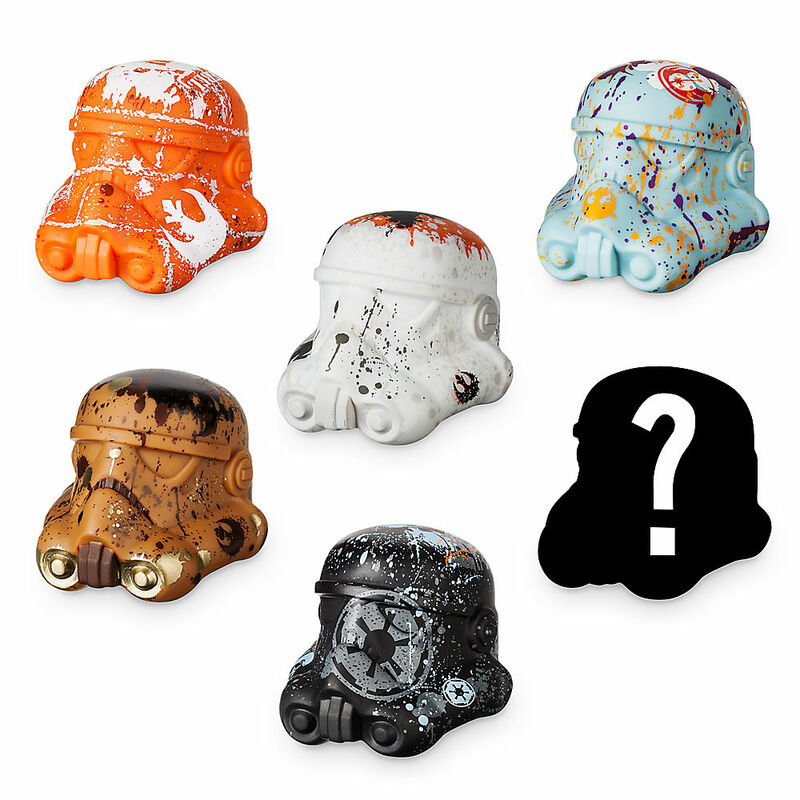 This Star Wars Legion Character Series includes five known designs, plush one mystery “chaser” figure. 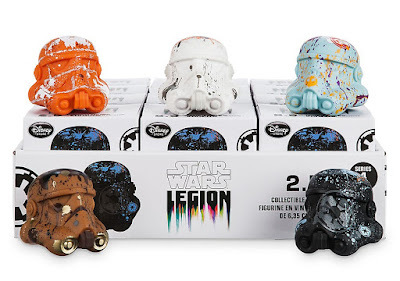 The Star Wars Legion Character blind box mini vinyl figure series is currently available for purchase at DisneyStore.com. Individual blind boxes retail for $12.95, while a full case retails for $155.40. Each case includes 12 blind boxes, which guarantees you two complete sets of the five known designs and one mystery chase design.